Once wood has been milled and processed it has no way of protecting itself naturally from harsh outside elements such as extreme temp changes, friction, water, sunlight, UV rays, snow, dew and stains. The damaging effects of weather to unprotected wood can be costly as lumber prices continue to climb. From swelling, warping and splitting to cupping and cracking, any wooden deck or fence will have short longevity if not stained / sealed properly. At ARC we go well above to ensure an outstanding final product. 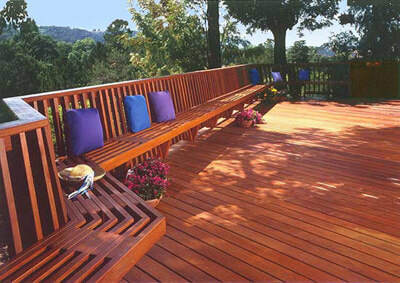 Our stain is hand back brushed into the wood grain for deep penetration and great durability. Our environmentally friendly, safe, low pressure washing process and sealing/staining products will protect your wood and exterior surfaces from the effects of harsh weather while creating a beautiful space for you and your family that will leave neighbors envious.